Take a fresh look at some of Freedom Innovations' prosthetic devices for lower extremity that can help you get back to your everyday! Visit www.freedom-innovations.com to check out all available options or call us at 1-888-818-6777 to connect with a rep! Experience the freedom of movement and enjoy your daily activities from walking to running! *With the fast responding stumble and fall protection, you can instinctively move at your own pace in any direction. *Rugged internal components are designed to enhance durability of the knee to keep up with you. *Water-resistant electronics give you peace of mind when enjoying the outdoors. Connect with breakthrough technology for a uniquely stable and natural walking experience! *Built-in sensors ensure you'll be able to instantly adapt to varying terrain characteristics. *Extended range of articulation helps reduce socket pressure so you'll enjoy more comfort whether hiking, walking, or even sitting. *Smart phone app allows you to fine tune performance and comfort settings. Take your extreme activities up a notch or two...or just stride comfortably through your day! *The superb durability and flexibility inherent of fiberglass material exceed your highest demands. *The innovative heel/keel design provides you with excellent energy return and a smooth stance phase roll-over. *The split keel of the AT version gives you 32° coronal motion for enhanced ground compliance on uneven terrains. Walk exceptionally normal - regardless of surface angle or speed! 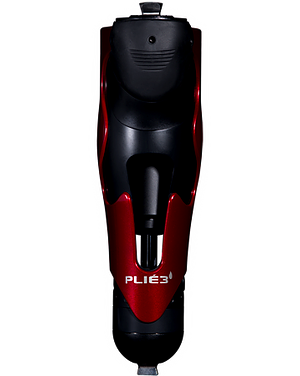 *12 range of motion and a posterior pivot give you a gait closer to biological norms on slopes. *The dorsi-assist aids you in toe clearance during swing phase to prevent stumbles and falls. *Split keel and heel increase your ground contact and stability.